This cat has learned to deal with his human and sits as calm as a cat in water could ever be. 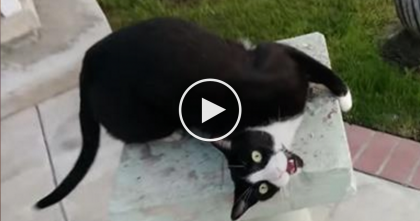 This kitty doesn’t jump out or go crazy, but instead her unusual attitude and funny facial expression are nothing to miss! 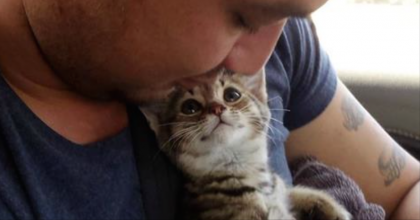 He Rescued A Kitten, But The Moment Kitten Realizes He’s Going To His Forever Home… Sweetest Ever! She’s Having A Hard Time Grooming Her Kitten, The Reason Why? SOO Much Cuteness!! 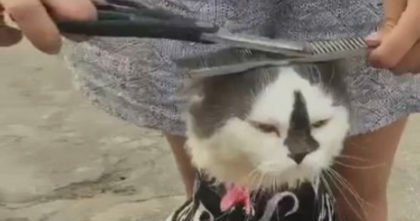 Watch cat’s reaction when she gives him a haircut for the first time… Now I can’t stop laughing! 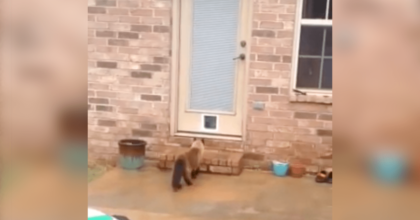 This guy worked hard to install a new cat-flap, but when he sees what his cat does, it’s just TOO BAD. 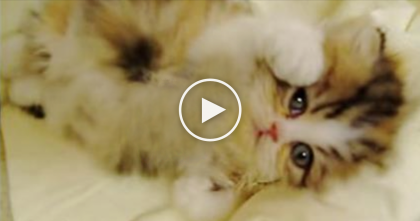 Every Time He Comes Home, This Kitty Gives Him Sweetest Greeting Ever… Just Watch, It’s ADORABLE!